There are 57 companies in the Dividend Aristocrats index for 2019. There were no companies removed from the list in 2018. The four new additions include Chubb Limited (CB), Caterpillar (CAT), People's United Financial (PBCT) and United Technologies (UTX). I first stumbled upon the Dividend Aristocrats index in late 2007, and instantly understood why dividend growth investing is such a powerful wealth generating tool. If someone had invested in the Dividend Aristocrats index after reading my review of the list at the beginning of 2008, they would have tripled their money. An investment in the dividend aristocrats a decade ago, would have resulted in a total return of 350%. In other words, investing $100 in the Dividend Aristocrats list in February 2019 would have turned into $454. 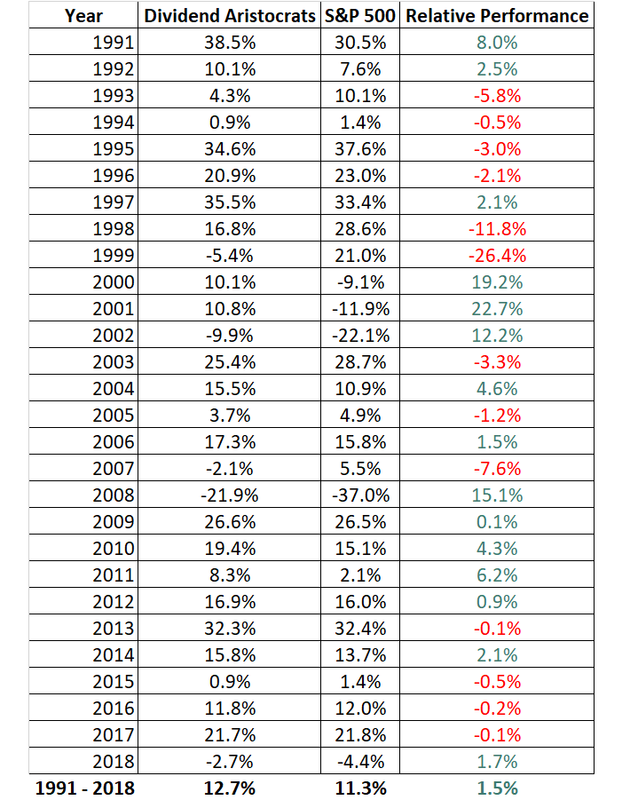 The same amount investing in S&P 500 would have turned into $395. As I gained more experience however, I have gravitated more towards the Dividend Champions list, which was created by Dave Fish. The Dividend Champions list is more complete, as it doesn’t exclude companies due to low liquidity, or due to market capitalization below a certain threshold. In addition, I find that historically, the list of Dividend Champions has followed a more consistent approach than the list of Dividend Aristocrats. Sadly, Dave passed away last year. Luckily, another person has agreed to update it for the time being. You can view the 2019 Dividend Champions List here. Ironically, Dave Fish had Altria listed as a Dividend Champion. However, he didn’t have Abbott nor Abbvie listed as a dividend champion ( they are listed as Dividend Aristocrats however). Last year, I found out that Cardinal Health (CAH) has only been able to grow dividends for 23 years in a row. This is why it is not on the dividend champions list. 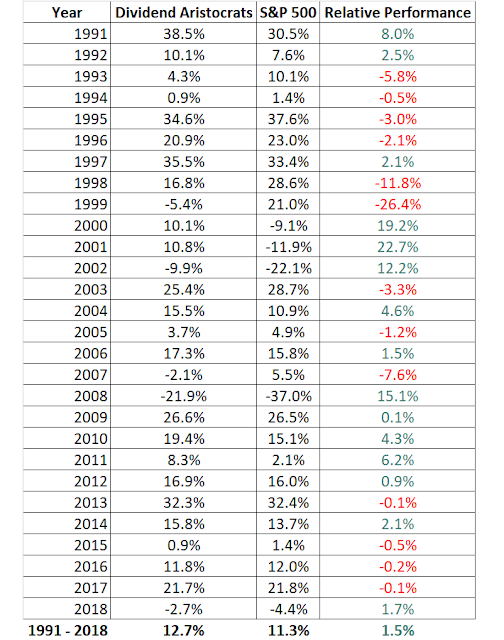 The dividend aristocrats list however has a 31 year streak of annual dividend increases listed.